Tommy John surgery—which Angels pitcher/DH Shohei Ohtani is supposed to receive, per a team announcement today—will steal a whole year from a dominant hurler in his prime. But UCL damage won’t necessarily hold back a good hitter. And luckily for all of us, what could be devastating news for any other pitcher in baseball only cuts Shohei Ohtani’s potential by 50 percent. 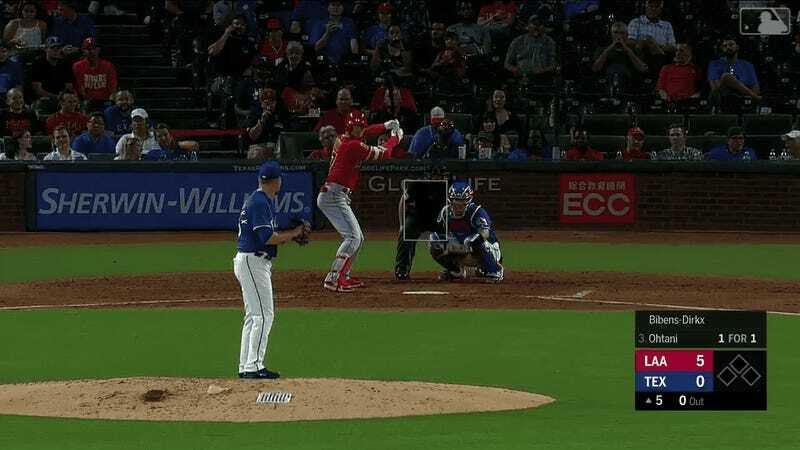 In the fifth inning of an otherwise pretty meaningless game between L.A. and the Rangers on Wednesday, Ohtani went yard off Austin Bibens-Dirkx for his second dinger in two nights, extending the Angels lead and once again asserting his freakishness.